My blog post today is on a topic which is particularly close to my heart, and has popped up a few times in recent weeks. That of collecting. Every passion borders on the chaotic, but the collector’s passion borders on the chaos of memories. I am, undeniably a collector. Now, my collecting habits focus primarily around collecting vintage clothing, but over the years I have collected many things. I think it probably started around aged 6 for me with Spice Girls memorabilia (I may have collected other things first, but this is the first thing I have a distinct memory of collecting), after this I collected things such as barbies, teeny weeny families, beanie babies, flower fairies, Swarovski crystal ornaments, bus tickets (yes…honestly), buttons, gig tickets, pocket ashtrays (strange as I’m no a smoker, but was briefly obsessed with), butterfly wing compacts, mid century shot glasses and of course vintage clothing. I have a very bad memory (owing in part to dyspraxia/dyslexia) and find that being able to visualise things helps me to remember them. Therefore by collecting objects relating to particular events I find it easier to remember what happened. The collected items takes on a new meaning therefore becoming a physical living representation of an event. 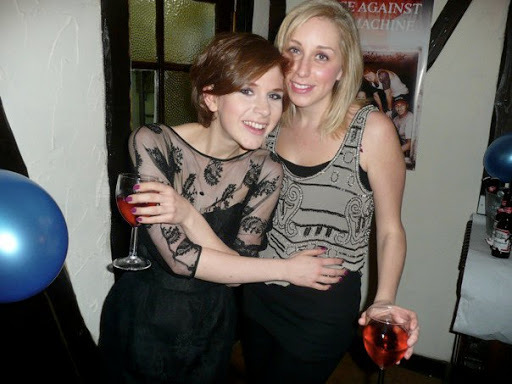 This black dress is probably the best example. I call this my “dress of memories”. Purchased in Brighton in 2008 this dress dates to 1960/61 and was worn by the original owner to her engagement party. After I purchased it I have worn it on a number of occasions. 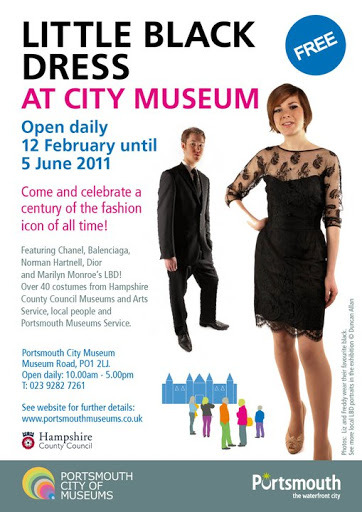 The night I met my first (ish) boyfriend, my Grandfathers funeral, a wedding, two 21st birthday parties, a halloween party and on the exhibition poster for Little Black Dress at Portsmouth city museum (before the dress featured in the exhibition for six months). 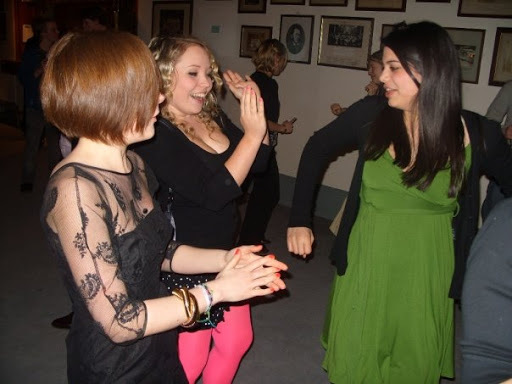 Not only is this dress caught up with my own memories therefore, but that of the previous owner too, and quite possibly the memories of others…especially considering it was on public display for six months. When you begin to think more about your collection you start to ask yourself why did I collect things like this? The answers you provide for yourself often have layered meanings. I know for me, this is particularly true. Objects come to represent people or memories, they become talking points, valued for both their sentimental and/or monetary value. Collecting can be a dangerous game, of which I am only too aware. Collecting beautiful objects can act as a defense mechanism. As a dear friend of mine once said, “only people can love you, clothes can’t.” Filling your life with objects when you feel lonely yourself, will only ever act as a temporary substitution. I know I’ve done this before, and I think to some extent this is the curse of being an only child, loneliness led to a necessity to fill my life with something other than people, hence why I collected thing that in a lot of respects had humanistic characteristics (dolls, soft toys, ornaments etc.). This is possibly my “emotive” reason for collecting. But for others this emotive spur can be quite different. I know of people who have lost everything through fire (or going further back) through war damage, and this led them to hoard and collect items, due to their memory of having nothing/ loosing everything. Collecting though does not necessarily have to be a physical pursuit. It can be a mental one too. As I like to think of it, collecting knowledge. This is how I view the academic process, and it acts as a motivating factor in encouraging me to continue studying and learning. One of my real passions in life is the study of dress collections, and both why and how people have collected dress, in relation to the museum and private collections. How do collections of dress that were once worn alter in their meaning once they enter the museum? What made museums acquire fashionable dress? Before it became fashionable to wear vintage clothing for what reasons where people buying it? How can those outside museums display/ use their fashion collections? In the past did people wear collect historical dress with a knowing connoisseurship, or did they simply treat it as “old clothes”? This (as you might be able to tell) is the beginning of a series of blog posts focusing on aspects of collecting fashion. I don’t think I could really do this topic justice in 1000 words. So coming up over the next few weeks will be posts on some of the most interesting and enigmatic collectors of dress. From private dress collections to insights into dress collected by museums. If you want to read more about the notions of collecting I must recommend Susan Pearce who has written a whole host of books on the subject, and is, quite frankly, the authority on collecting.